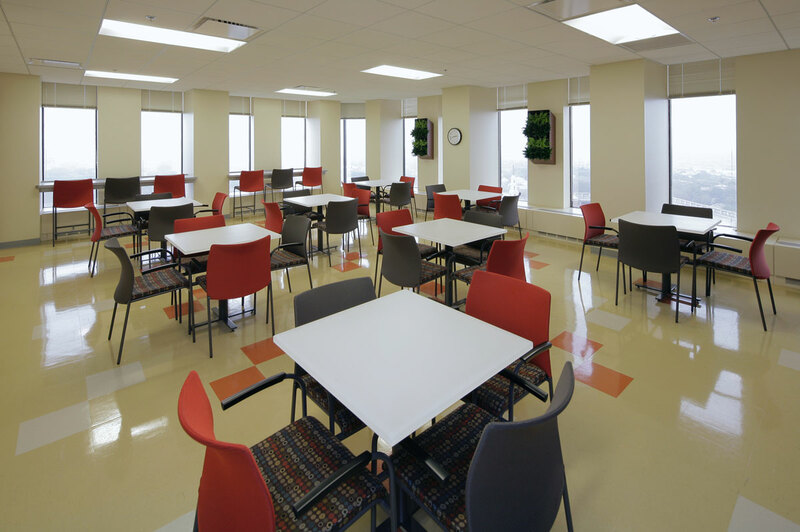 Vision 3 re-designed 74,000 s.f. 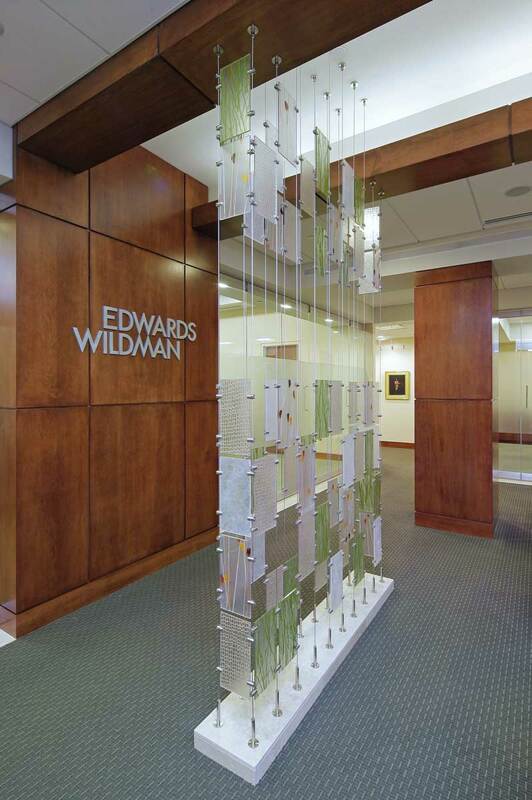 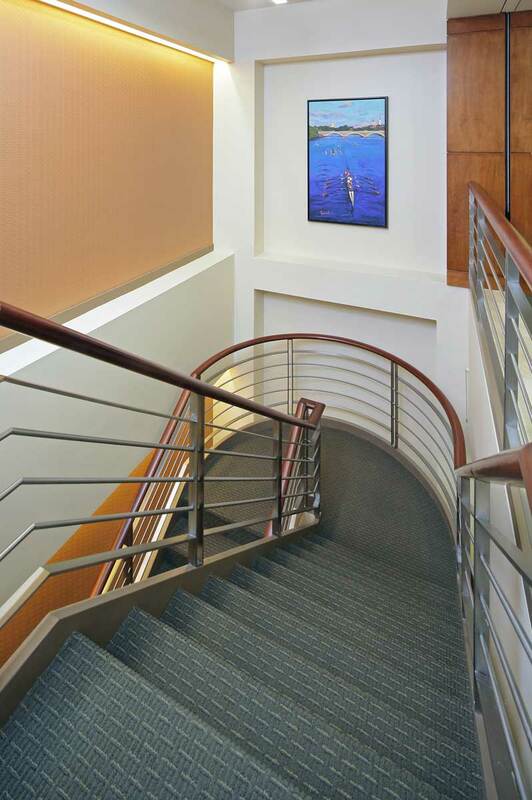 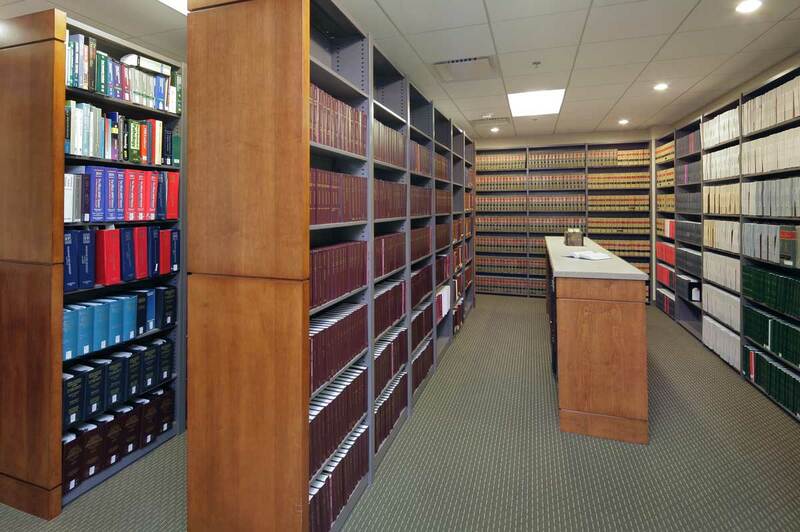 of office space spanning the top 6 floors of One Financial Plaza, for Edwards Wildman Palmer, one of the largest law firms in Rhode Island. 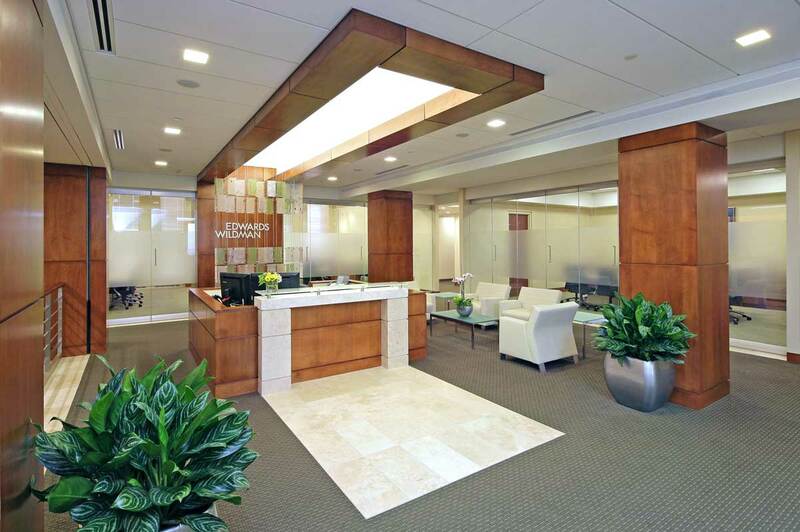 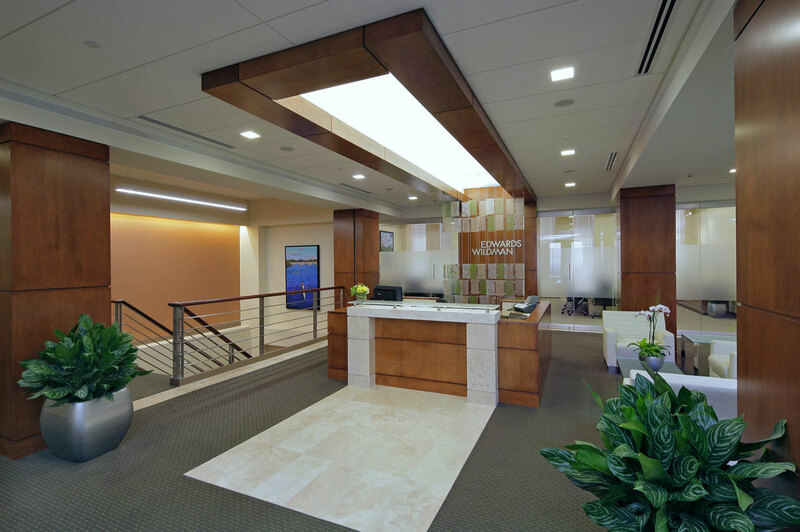 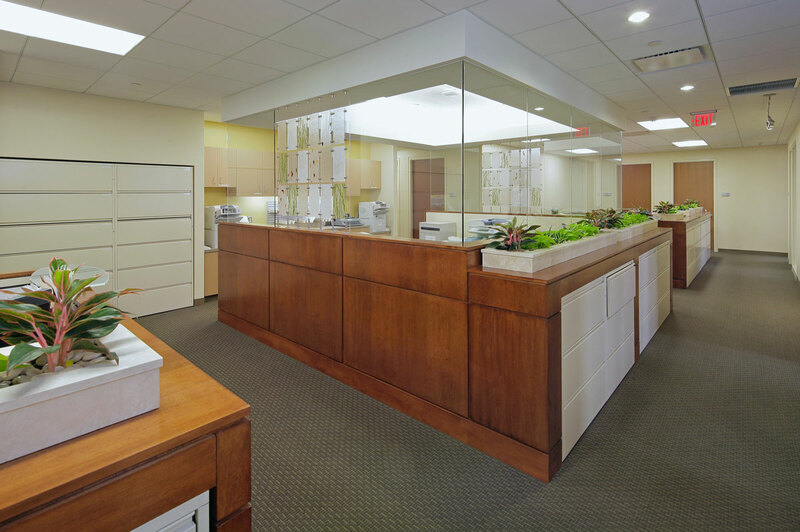 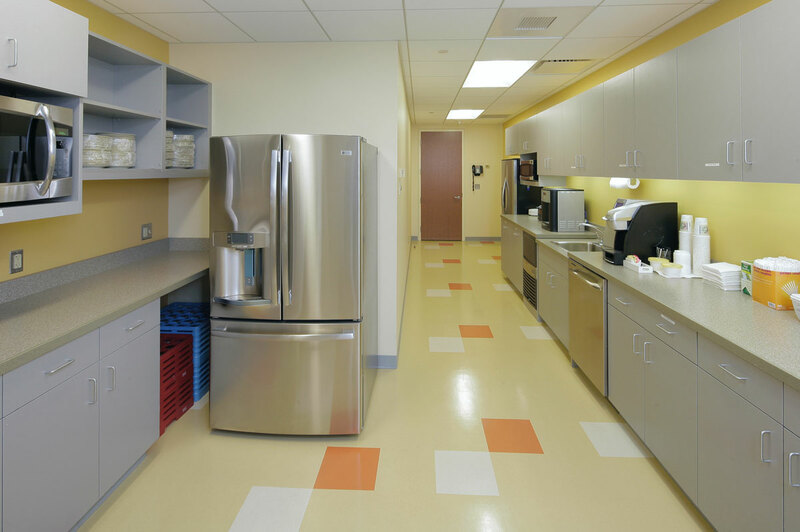 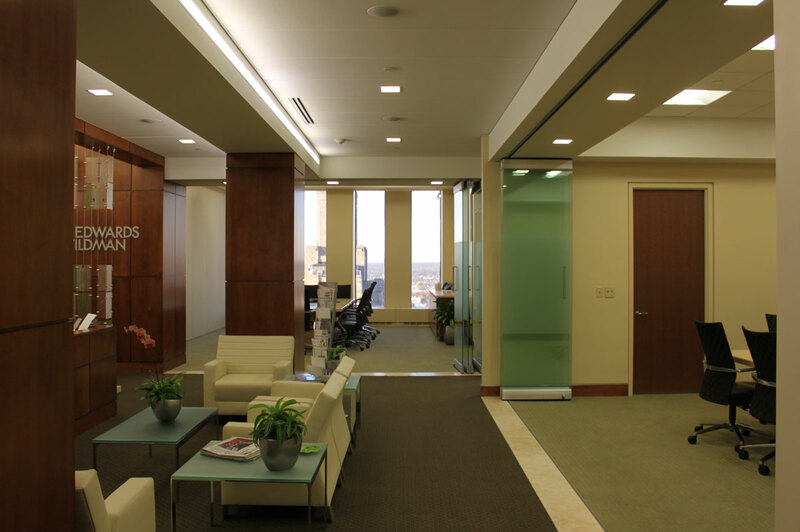 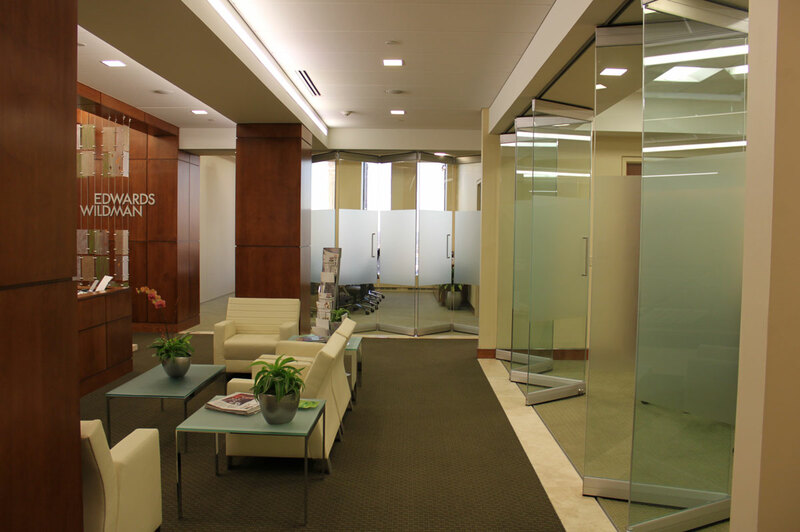 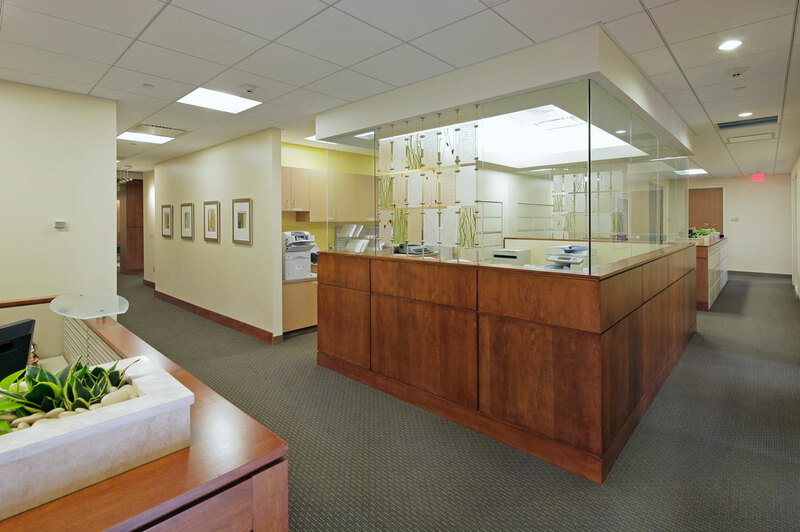 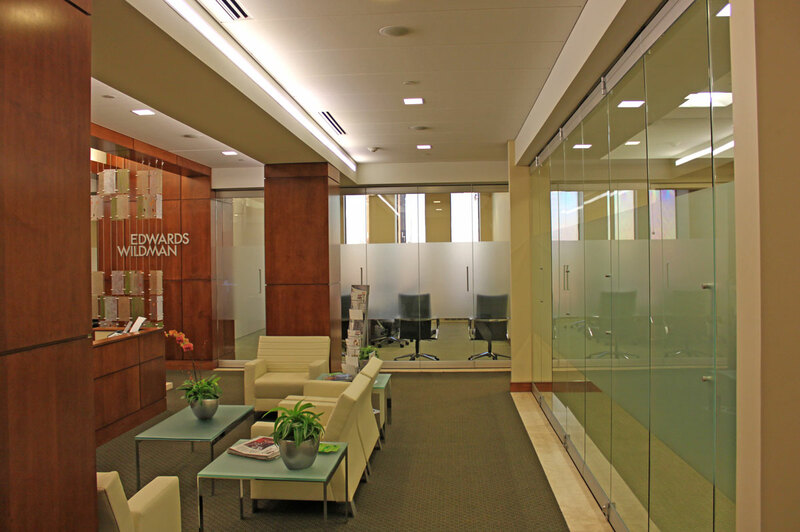 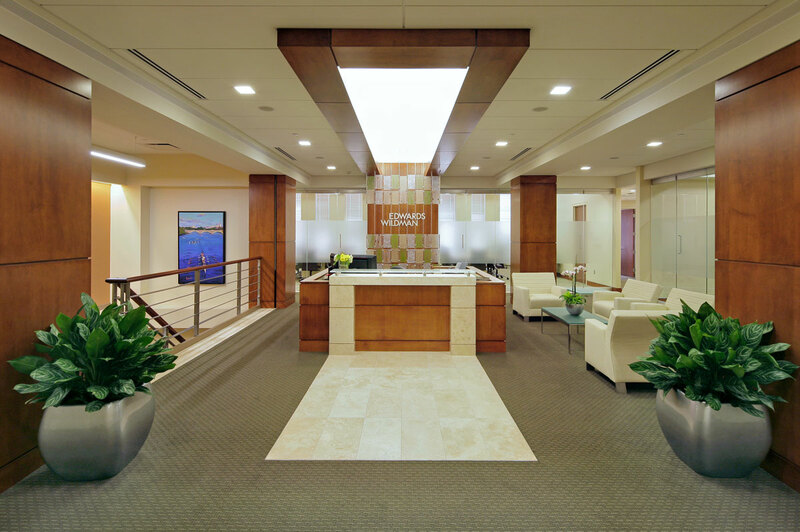 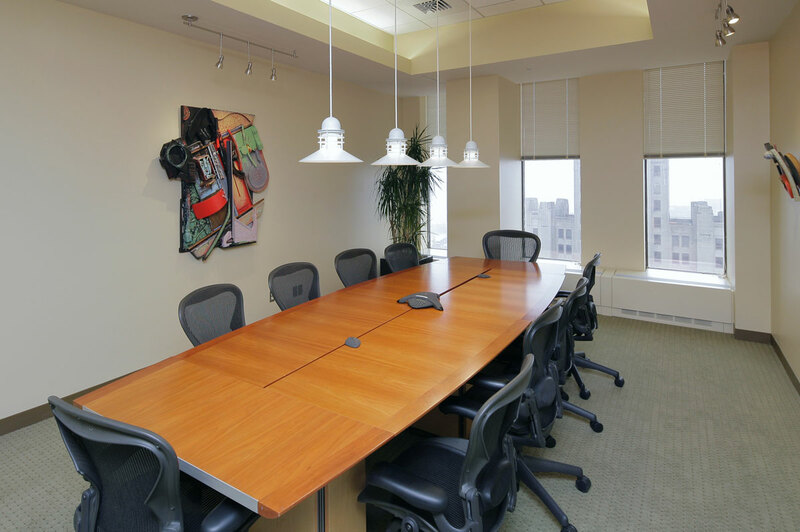 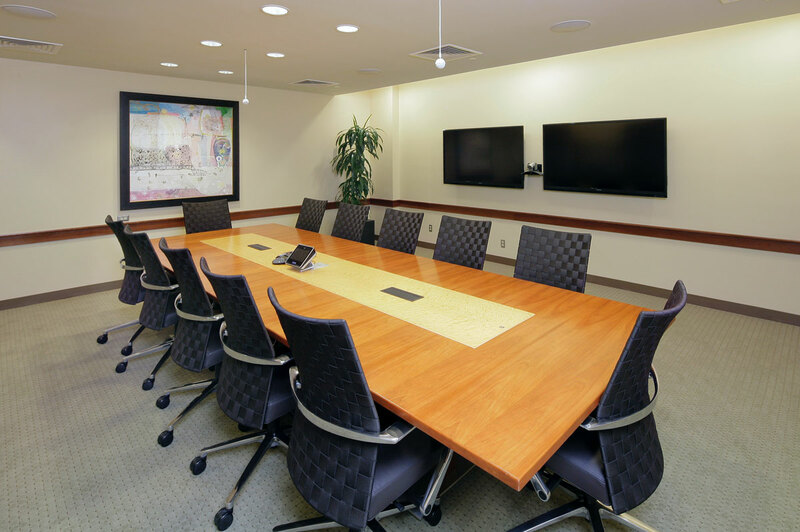 The renovation included a reorganization of departments for a more functional and efficient layout, new reception, waiting area, and conference rooms. 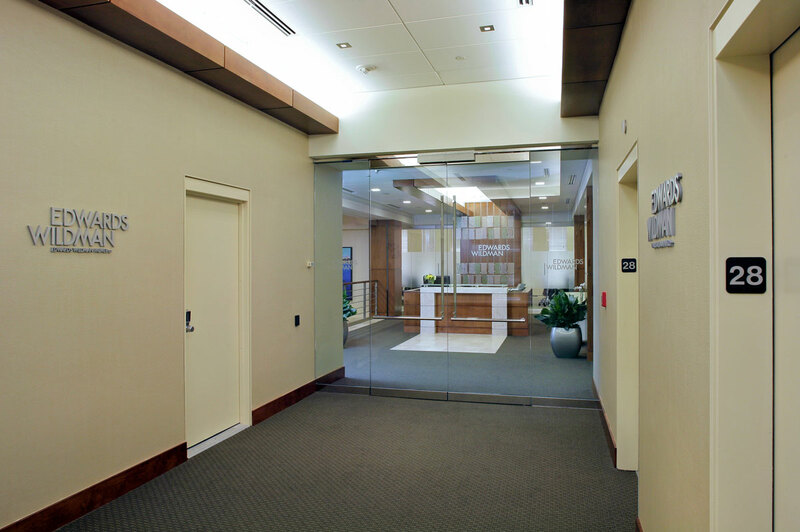 The image of the firm was updated through the use of natural materials such as wood, natural stone and glass. 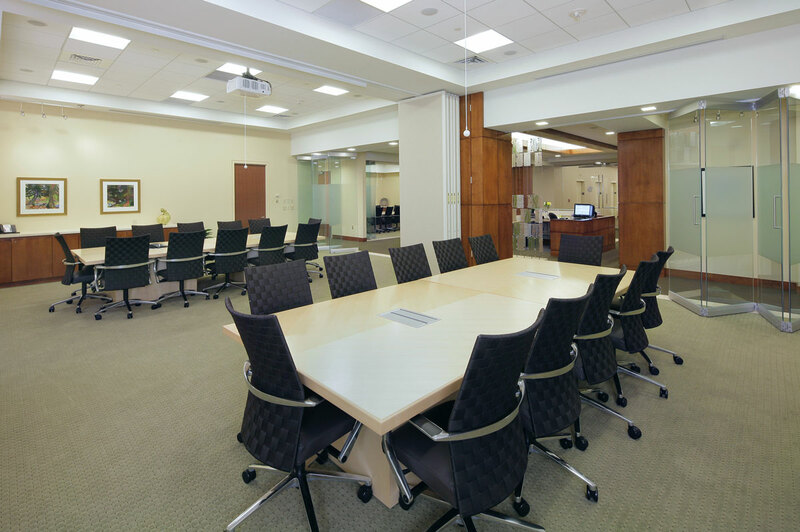 The three large conference rooms located directly off the reception/waiting area were designed with foldable glass partitions to allow the individual spaces to open into one large space for the purpose of holding receptions.